Kind of like remembering a messy divorce, only with more epic battles. 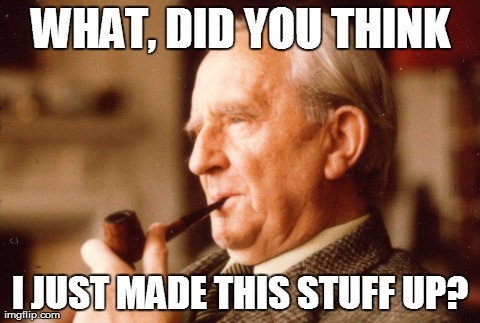 That’s right, Tolkien fans! 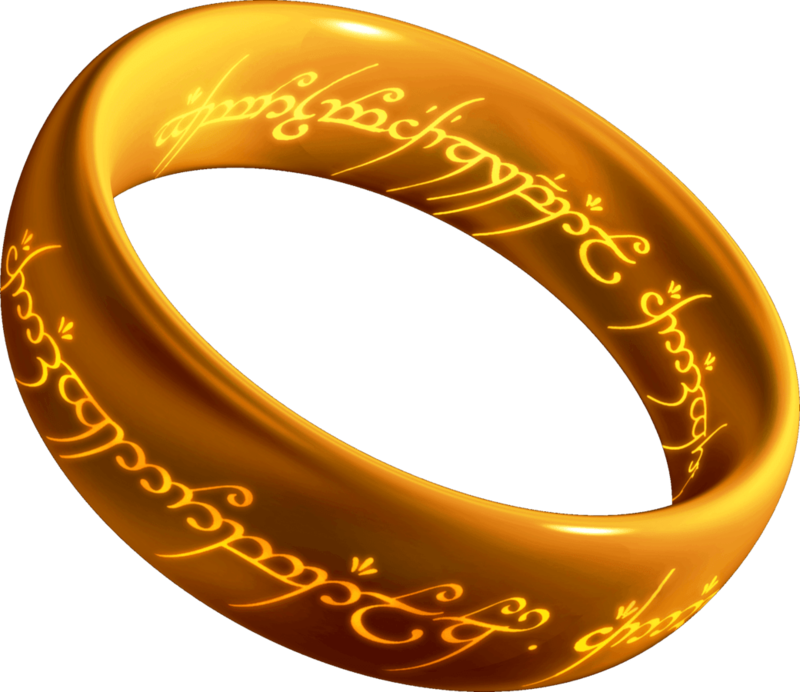 It’s the anniversary of the day when, mumbleteen thousand years ago, Frodo, Sam, and Gollum entered Mount Doom to pitch the One Ring into the fire below. Yeah, I get that. But you also have to remember that Tolkien was three things, in this order: a proud Catholic, an expert philologist, and a fascinated medievalist. What does all that have to do with March 25th? I’m glad you asked! First, while all three of these are intertwined, let’s just look at the basic religious significance of the day. See, in the Roman Catholic Church, as well as in a few other religious denominations, today marks the Feast of the Annunciation. It marks the point in the Bible when an angel appeared to Mary and said “Congratulations, it’s a boy.” (Or something like that.) The reason it’s dated to March 25th is because it’s nine months before Christmas, the approximate length of pregnancy. In centuries past, the colloquial name for the Feast of the Annunciation in England was actually “Lady Day,” and the medieval English shared a common attitude about the day with their continental counterparts. Because of its religious significance, as well as its close proximity to the first day of spring, Lady Day was associated with new beginnings. In Dante’s Divine Comedy, the day that the poet begins his journey is March 25th, which was also Good Friday; it was considered particularly lucky to have Good Friday fall on March 25th, though it’s hard to track how many times that actually happened (Dante just used poetic license, for example), because not only has the dating of Easter changed over the years, but we’ve also shifted the calendar by thirteen days. (However, if you’re looking for an excuse to buy a lottery ticket, it’ll happen in two years.) It was even popularly believed, by those who didn’t understand that December 25th was itself an approximate date, that March 25th marked the first day of Creation in Genesis — because what other day would be chosen by God for the Incarnation? Contracts often began on March 25th, and in England it was considered the start of the new year. Mind you, they actually had four different years for a long time in England: the historical year, dating from January 1st; the regnal year, dating from when the current king or queen was crowned; the fiscal year, dating from September 29th, when a new government budget was begun; and the legal year, Lady Day. The fiscal year is still observed that way in the United States’ federal budget, though it was moved by two days to October 1st; and both the US and the UK inherit the approximate date when taxes are due from March 25th. In the UK, it’s April 6th, a straight 13 days from March 25th, reflecting the shift to the Gregorian calendar. Later, in the US, we just rounded it to the middle of the month and then forgot why. And that was used by Tolkien as well. If you read the Appendices, you might be excused for missing this little gem: “There is no record of the Shire-folk commemorating either March 25 or September 22 [the birthday of Frodo and Bilbo]; but in the Westfarthing, especially in the country round Hobbiton Hill, there grew a custom of making holiday and dancing in the Party Field, when weather permitted, on April 6.” Perhaps a little silly, since this supposedly took place before most of recorded history, and certainly before the Gregorian calendar-shift; but then again, The Hobbit refers to hobbits as existing today as well. So, because of all this, Tolkien selected March 25th as the momentous new beginning for Middle-earth. After all, he wasn’t writing an historical account; he was writing a mythology that never existed, as if told by a medieval chronicler who gathered all the details, and then translated by a 20th century scholar. Tolkien might have disliked allegory, but he loved applicability, and no doubt the history of March 25th was simply too good to pass up. And so, again: Happy Ring Destruction Day! Great post with some fascinating info! One correction, however. Christmas is celebrated on Dec. 25 because the Annunciation is March 25, not the other way around. While I don’t have all the individual details handy, the outline is something like this. In Jewish folklore a prophet died on the same day he was conceived. Since the date of Jesus’ death coincided with the Jewish passover, it could be calculated if you knew the year. Working through historical sources, a probable year was established for the crucifixion. Adopting the Jewish folklore axiom that a prophet died on the date of his conception, nine months was added to determine the date of his birth. March 25 + 9 months = December 25. I’ve never heard of that, so I did some digging. That seems to be a likely interpretation, except that the early Christians didn’t seem to treat it as a “the prophet was killed the same day he was born” connection; rather, the Jewish tradition is that certain days of the year are days when great things happen, and so that’s how the connection formed. Which I like better, because it underscores the symbolic use of March 25th as the time of new creation.